A hundred years ago this week, the Grand Duchy of Luxembourg was in turmoil. Its ruler, Grand Duchess Marie-Adelaide, had abdicated under intense pressure, making way for her sister, the new Grand Duchess Charlotte, to become the nation's new ruler and to try to preserve the monarchy. 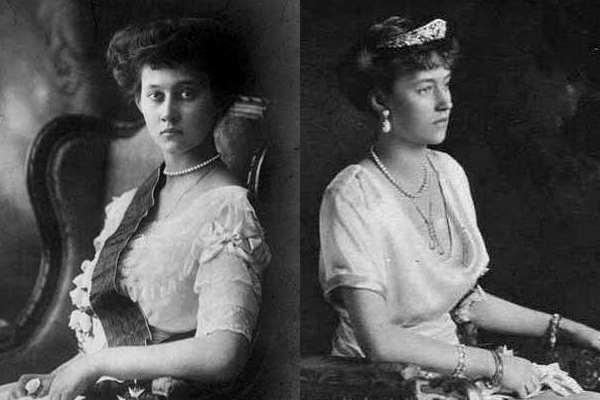 Today, we've got a look at jewels worn by both women -- a rare example of a pair of sisters who both served as heads of state of their country. 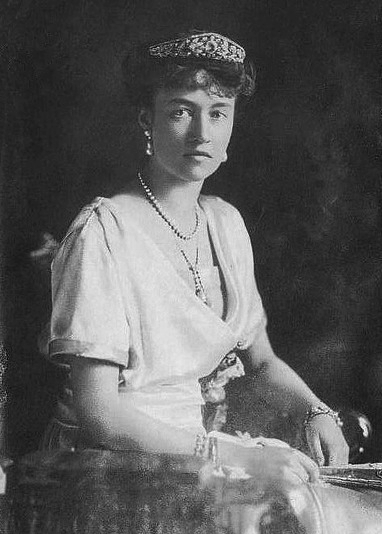 Grand Duchess Marie-Adelaide came to the throne in 1912 at the age of only seventeen, when her father, Grand Duke William IV, died. Because she was not yet eighteen, her mother, Grand Duchess Maria Ana, served as regent for a few months after her ascension to the throne. (Maria Ana was not new to the role of regent. William had died following a long illness, and she had been serving as his regent since 1908.) The moment Marie-Adelaide turned eighteen, however, she began reigning herself, becoming the youngest monarch in Europe. 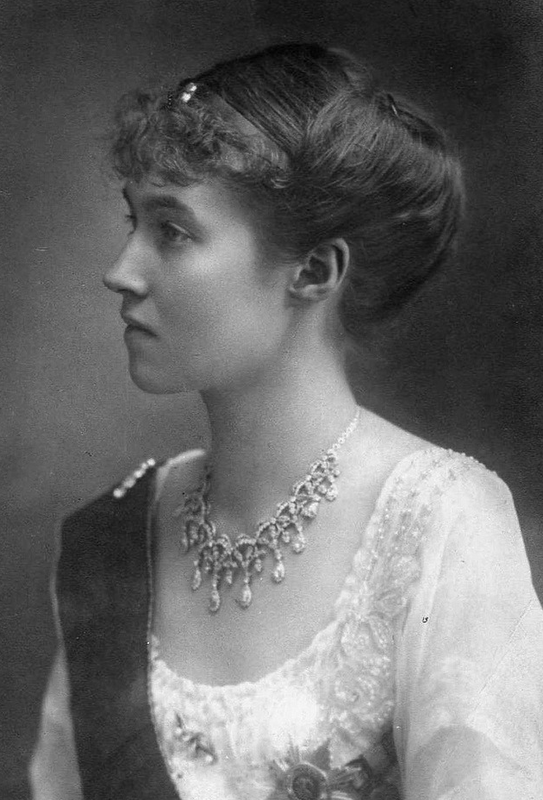 Even before she reached the age of majority, one American newspaper remarked that "Grand Duchess Marie is extremely conscious of her dignity. She keeps a considerable distance between herself and her sisters and has already a marked and very imperious will." 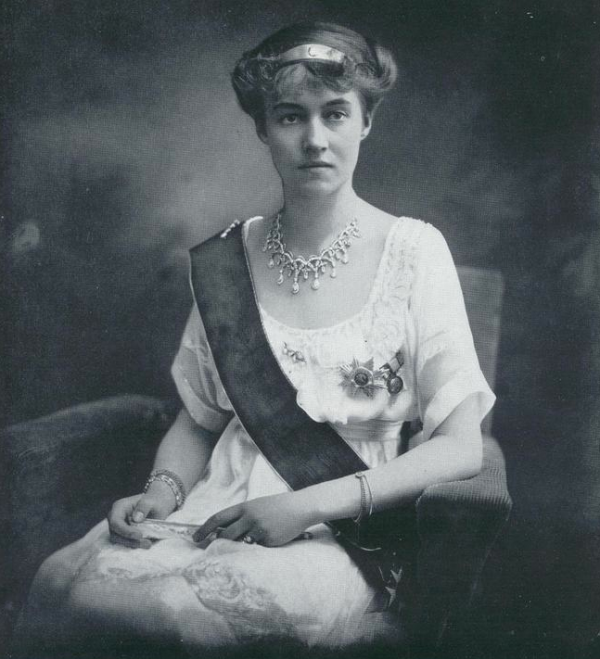 Marie-Adelaide reigned through the First World War, when Luxembourg was under military occupation by the Germans. After the war had ended, her intense involvement in political and religious matters, as well as her perceived pro-German tendencies, caused a crisis. Her actions eventually compelled the nation's parliament to request her abdication. 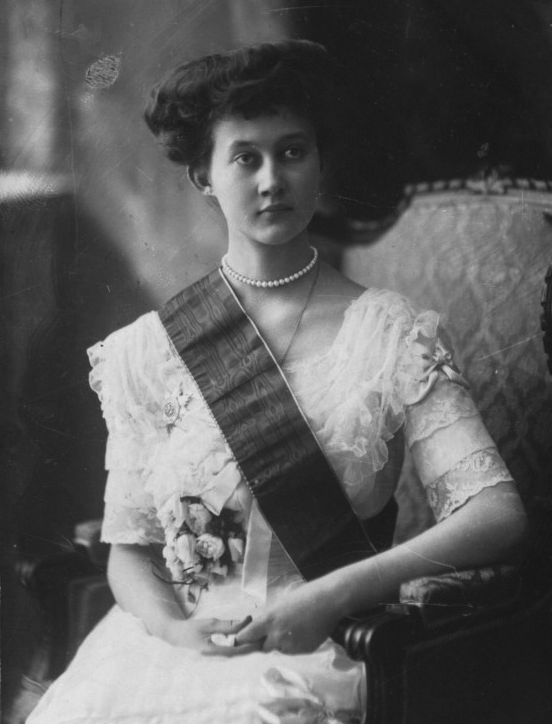 Under intense pressure, she complied on January 14, 1919 -- making her younger sister, Charlotte, the new reigning Grand Duchess of Luxembourg. After her abdication, Marie-Adelaide left the country, joining an Italian convent. But her ill health made her poorly suited for life as a nun, and she eventually left the convent for a new home in Bavaria. 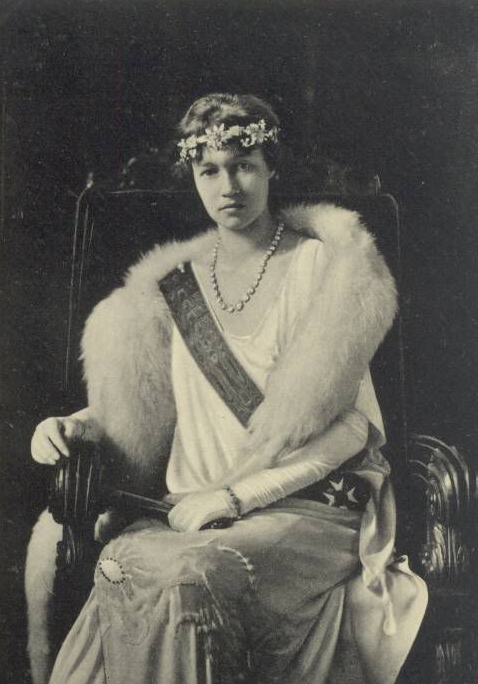 (One of her younger sisters, Princess Antonia of Luxembourg, married Crown Prince Rupprecht of Bavaria in 1921.) Marie-Adelaide died of influenza at Rupprecht and Antonia's home, Schloss Hohenburg, in 1924. She was only 29. In January 1919, Charlotte became Luxembourg's reigning Grand Duchess, but she had to navigate a challenging road to maintain her position. In September 1919, a referendum was held that placed the fate of the monarchy in peril. Voters had a series of choices on their ballots: they could retain Charlotte as Grand Duchess, choose another member of her family to rule, choose a different family altogether to install as the ruling dynasty, or to abolish the monarchy and establish a republic. (They also voted on whether to create an economic alliance with either Belgium or France.) More than three-quarters of those who cast ballots chose to keep Charlotte as their head of state, including a large percentage of female voters, whom Charlotte had granted suffrage not long before the referendum was held. In remarks to the press immediately after the vote, Charlotte said, "I am sure the people voted for me because it was the surest way to preserve the independence of the country." When pressed on why she allowed the vote to take place, voluntarily placing her role and her family's position in jeopardy, she simply stated, "I was willing to do it because it seemed to be the right thing to do." A few weeks after the referendum, Charlotte announced that she was engaged to be married. 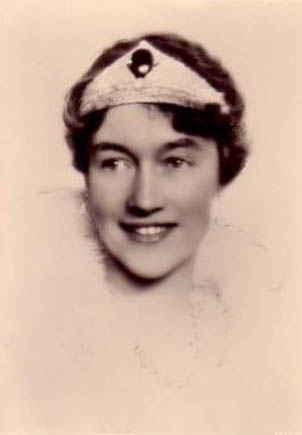 Her prospective groom was her first cousin, Prince Felix of Bourbon-Parma. (Their mothers were sisters; both were daughters of the deposed King Miguel I of Portugal.) The press reported that some in Luxembourg were initially displeased with the match, as Prince Felix (who was a younger brother of Empress Zita of Austria-Hungary) had served in the Austrian military during World War I. One paper noted that when Charlotte "declared that it was a love match and that she would wed no other," the people "subsequently acquiesced" to the alliance. 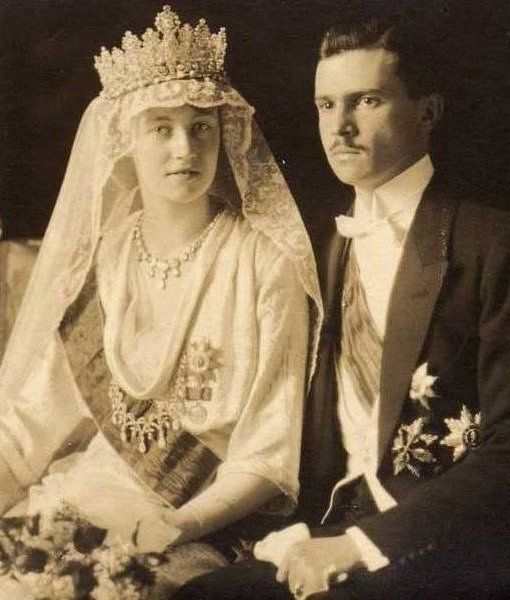 Charlotte and Felix were married at Luxembourg's Cathedral of Notre Dame on November 6, 1919. A year after Charlotte and Felix's royal wedding, newspapers began speculating that a visit from the stork was imminent at the palace. Their first child, Hereditary Grand Duke Jean, was born in January 1921. Five more children followed: Princess Elisabeth (born in December 1922), Princess Marie Adelaide (born in May 1924), Princess Marie Gabriele (born in August 1925), Prince Charles (born in August 1927), and Princess Alix (born in August 1929). Three of Charlotte's children -- Jean, Marie Gabriele, and Alix -- are still alive today. As Charlotte's family grew, so did her popularity with the people of Luxembourg. As she celebrated her birthday in 1930, a little over a decade into her reign, the press reported that there "wasn't the slightest unpleasant murmur" from her citizens, and that she was "the most popular grand duchess Luxembourg has had as yet." Though her people had voted in 1919 for an economic alliance with France, Charlotte was also close with the ruling family of Belgium. 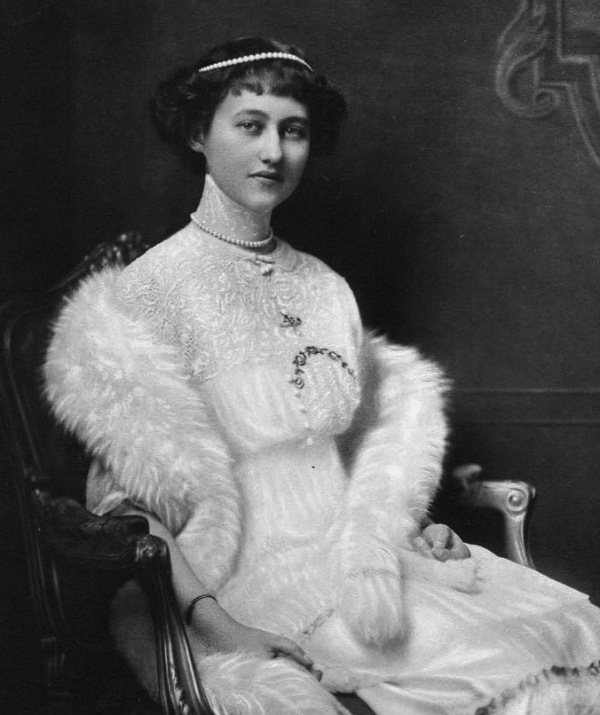 In 1927, she served as godmother to Princess Josephine-Charlotte, daughter of the future King Leopold III and Queen Astrid. Little did she know that decades later, Josephine-Charlotte would marry Charlotte's own son, Hereditary Grand Duke Jean. When World War II broke out in 1939, Luxembourg at first attempted to retain its neutrality, but with the Germans advancing, Charlotte and her government ultimately decided to formally join the Allied cause. The grand ducal family fled the country in 1940, hopscotching across Europe before landing in London. There, Charlotte made numerous appearances on BBC radio, becoming an important symbol of hope for the resistance in Luxembourg. The grand ducal family also spent part of the war in the United States and in Canada. In England, Hereditary Grand Duke Jean graduated from Sandhurst and was commissioned as an officer in the Irish Guards. He served in several major actions during the war; he was part of the Normandy landings on D-Day and, on September 10, 1944, he participated in the liberation of Luxembourg. Grand Duchess Charlotte made her return to Luxembourg in April 1945, and although some newspapers reported "scenes of wild enthusiasm" greeted her, others also noted that celebrations were somewhat muted out of respect for the recent death of Franklin D. Roosevelt. With the war over, Charlotte turned her attention to diplomacy. 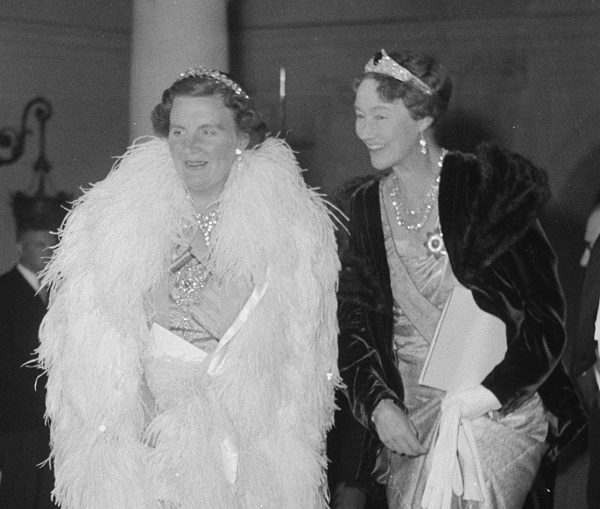 She hosted numerous foreign leaders in Luxembourg, including Eleanor Roosevelt (who had hosted her at the White House during the war), Queen Juliana of the Netherlands, and President Coty of France. In 1953, the country was overjoyed to witness the royal wedding of Charlotte's son, Hereditary Grand Duke Jean, and her goddaughter, Princess Josephine-Charlotte of Belgium. 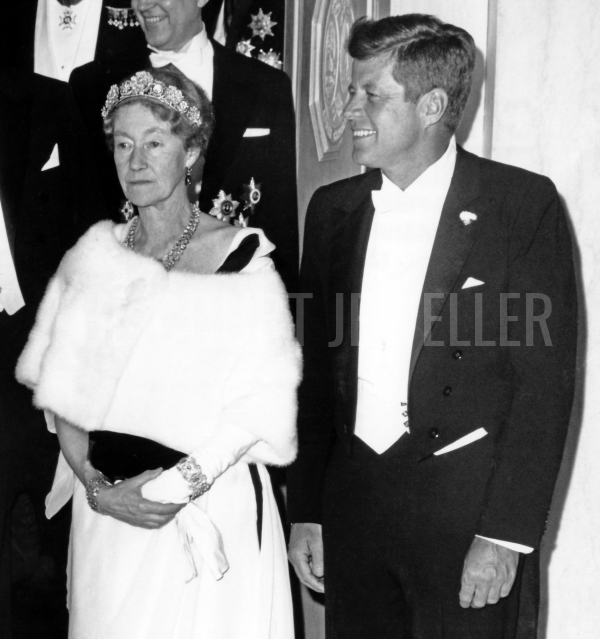 All four of Charlotte's daughters also married during the 1950s, while her second son, Prince Charles, married an American, Joan Dillon (daughter of Clarence Douglas Dillon, who served as the American Ambassador to France and the US Treasury Secretary), in 1967. In the spring of 1963, Charlotte and Jean embarked on a diplomatic visit to the United States, a trip that garnered significant international press. They were the guests of honor at a state dinner hosted by President and Mrs. Kennedy, and then traveled on to spend time in Chicago. One Washington correspondent described Charlotte as "sweetness and warmth combined with elegance -- the essence of gentility without a trace of hauteur." Following Vice President Johnson's quick visit to Luxembourg in November 1963 -- only days before the Kennedy assassination made him president -- another columnist, Margaret Anderson, described the secrets to Charlotte's success as a head of state: "The Grand Duchess Charlotte is articulate and highly intelligent, and probably the best informed of all of Europe's distaff rulers. But she wastes no time on chitchat, and therefore, she never permits a conversation to veer anywhere near a discussion of what her subjects or her foreign admirers have to say about her." Nevertheless, Anderson argued, Charlotte "is regarded by political scientists as approaching closest to the ideal national symbol." 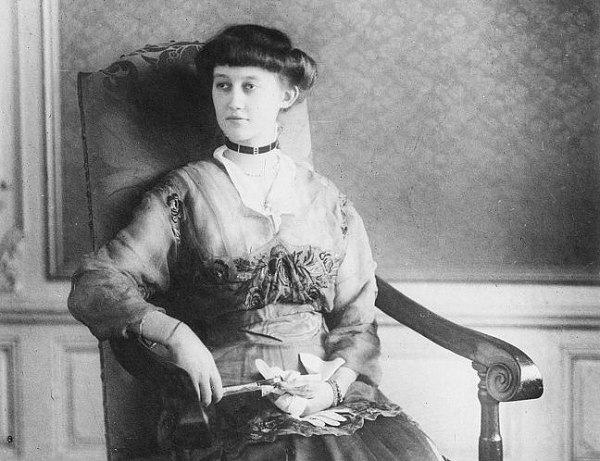 Charlotte, she explains, "is a legend primarily because she shuns the limelight and detests ostentation in all its garish hues," operating instead with "quiet simplicity." A year later, Charlotte decided that her 45-year tenure as the reigning head of state in Luxembourg had come to an end. While the abdication of 1919 had been one of upheaval and uncertainty, Charlotte's transition was engineered much more smoothly. Her plans to abdicate were announced in the press in September. She noted, "It seems to us the length of our reign and common sense authorize our retirement." 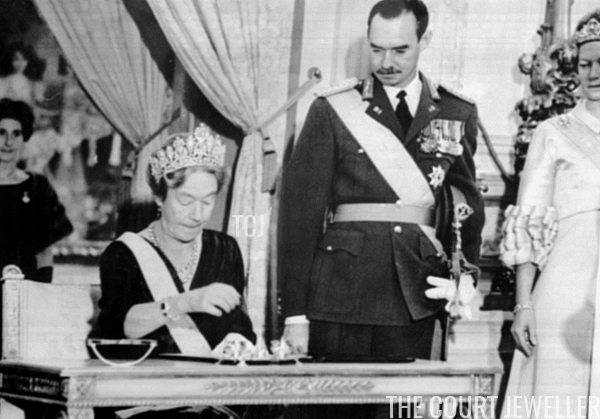 She officially signed the abdication act on November 12, 1964, making her elder son Grand Duke Jean of Luxembourg, who had long prepared for his new role. Press reports lauded the way that Charlotte had "combined pomp and simplicity and kept aloof from her subjects and their internal political squabbles. She smiled, presided gracefully and graciously at public events and built up her tiny nation's prestige in the eyes of the world."